In a concert hall at PacificLand on Jeju Island, a dolphin show is held regularly. Whenever dolphins come out from the water and dance, audiences give them a big hand and shout. However, for some reason, some audience members have shaded faces. Why do they have shaded faces? They may worry about dolphins. Actually, among dolphins for display (exhibition) and performance purposes in Korea, 65 percent of them are captured in Taiji, Japan. 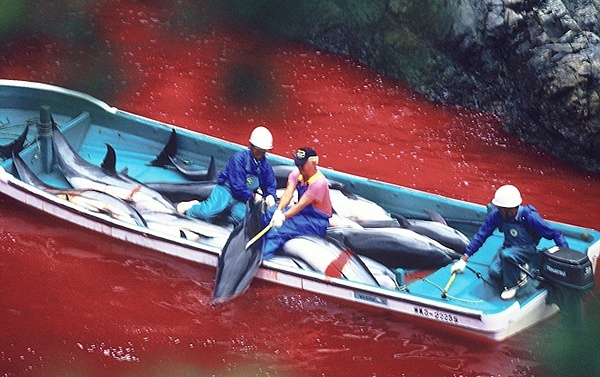 Taiji in Japan captures dolphins using the “method of drive hunting”. Drive hunting is a way to catch dolphins by launching metallic sounds on purpose to throw dolphins into confusion and then capture them. Each captured dolphin is sold for tens of millions of won to aquariums all over the world. 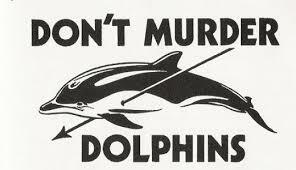 However, the problem is that most dolphins die while being transferred to the aquariums or shortly after. Because of this circumstance, the eyes of the audience watching the dolphin do not look happy. Therefore, we will try to address the reason why dolphins die. Through examining advanced dolphin breeding cases from foreign countries, we are going to highlight the problem of ‘dying dolphins in Korea’. Dolphin is a general term for small-medium whales and it belongs to the family of mammalian whales. Among dolphin species, belugas (white dolphins) and bottle-nosed dolphins are raised for display and performance purposes in Korea. Those two species are well known for their high IQs. Especially, through their very wrinkly brains, dolphins communicate with each other by sending and receiving underwater sounds. Moreover, dolphins with high IQs can do their own thinking. According to research, dolphins recognize themselves in the mirror and know that they are reflected by light. Also, dolphins can have hurt feelings about being watched by an audience. 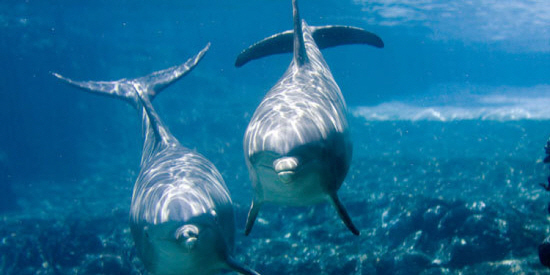 Dolphins perceive changes in the environment well. They are sensitive about water quality, water temperature, cotton ginning and other changes in their environment, so careful management of dolphin breeding facilities is critical. However, according to the results of research from a joint investigation group examining dolphin breeding facilities, supervision and management of dolphins in Korea has ‘a lot of problems’. While moving dolphins to aquariums, there are many problems that can occur. Because dolphins are sensitive about their surrounding environment, you need to be careful when they are transported. There is a case that could not keep up with this caution. The case was that one of two dolphins in Ulsan died because of hemorrhagic bronchopneumonia. The point is that the dolphin was dead within a week of being brought to Ulsan. A veterinarian who oversaw the dolphin’s autopsy said that this dolphin got too much stress from the transporting process which took over 30 hours and the dolphin eventually got pneumonia because excessive stress weakened their level of immunity. Above all, results of research into dolphins’ living space - a dolphin’s living radius is more than 100km - shows that all the gross areas of 8 aquariums’ in Korea satisfy legal standards, but individual tank’ areas are below the legal standards. Firstly, in case of Jangsaengpo Whale Museum in Ulsan, individual tank areas are 38㎡ which is less than half of the standard area of 84㎡. Also, it was found that individual tanks at ‘Geoje Sea World’ on Geoje Island, Beluga living areas do not satisfy legal standards. For this reason, it was concluded that some stress symptoms of dolphins there is due to excessive stress. Bottle-nosed dolphins which were raised for display and performance purposes in Geoje Sea World Aquarium died in February, April and May in 2016 one by one. That is because they had diseases like pneumonia and septicemia and because they were infected by microorganisms while living in poor and small tanks. Currently, in order to raise dolphins in aquariums in Korea, the watermark area of a tank per dolphin needs to be 84㎡. Next, whenever a dolphin is added to a tank, you need to add 35% to the existing area. If you raise three dolphins according to this standard, the three dolphins (they are taller than 2m) are living together in a tank which is measured 10m in width and 14m in length. Dolphins need to swim the large ocean and interchange with other different species. Capturing and importing dolphins, and confining them in narrow water tanks can cause stress to dolphins and infringe on the dolphins’ right to swim freely. Lastly, dolphins have a keen sense of hearing because they use sound waves when communicating or recognizing objects. With this ability, dolphins can also feel our hearts’ beating in the water. However, in a narrow water tank, dolphins feel confusion that provokes illusion that seems to scream out at them in their narrow water tanks because their sound waves bounce back from the surface of the walls. In addition, sounds of ventilators and audience give extreme stress to dolphins. The aquarium that have veterinarians who manage the dolphins’ health conditions resides in only 5 places among 8 places that have dolphins. However, even in those 5 places that have veterinarians, only one of them manages all dolphins and it could not be checked whether proper medical treatment progress because they did not submit any documents. Thus, since 1990, 52 out of 98 dolphins from 8 aquariums in Korea died due to this lax medical action. As many as six dolphins have died in Ulsan Whale Life Experience Museum where it was reported that a great quantity of antibiotics was injected into them. 4. Incompleteness of legal standards. The problem is that there are no specific management standards. In the case of Geoje Sea World, during summer seasons, the park was supplying water at more than 20 degrees to Belugas who normally live in water temperature around 14 degrees. This is because the place does not have water refrigerating facilities. Also, Korea has no management standards for Belugas so it applies standards for Bottle-nosed dolphins which are smaller than belugas. Management standards for salinity and temperature of water, residual chlorine concentration, and colon bacillus are different for each aquarium or museum. Jangsaengpo whale museum in Ulsan checks colon bacillus four times a year, Jeju Hanwha Aqua Planet checks it bi-monthly. Jeju marinepark, Jeju Pacificland, and Geoje Sea World use seawater and they do not check colon bacillus. The three places - Yeosu·Jeju Hanwha Aqua Planet, Jangsaengpo whale museum in Ulsan - do not have crisis response manuals about red tide occurrence, change in seawater salinity, pollution of underground water and other crises. Lotte Aquarium did not submit documents so its manuals cannot be checked. 'Marine park in Jeju Island’ said they have the manual, but they did not submit documents. Joint investigation group reported that Jangsaengpo whale museum in Ulsan, where the museum is embroiled in controversy by having killed one out of two bottle-nosed dolphins imported from Taiji, Japan recently, doesn’t have the management manuals for dolphin keepers. On the contrary, when we look at advanced cases of foreign countries we can see that many countries in the world put more efforts into discharging them than reinforcing management standards of dolphin performance halls. Currently, measures for closing off or suspending the halls which neglect the management and violate rules is being enforced. Right after that, countermeasures for managing dolphins are being considered as well. In Italy, the campaign, ‘building sea shelter for dolphins’, is underway. This campaign is to improve environments for dolphins discharged to the sea after closure or discontinuity of dolphin performance halls. It is not just closing or suspending the offending aquarium, but creating a refuge for the remaining dolphins. The roles of these are not only to rescue and give treatment, but also to re-discharge them. The promotion committee of dolphins’ sea shelter will be comprised of ecologists from the United States, England, and Italy and from other related field experts like dolphin ethologists. The committee hopes the last three halls will also be closed when the sea shelter is made. 5. What we can do to stop poaching and restrain a breeding of dolphins. The problems with discharging dolphins and a better life are no longer limited to government or facilities. In the case of dolphin show halls, it is not only the performance manager but also the spectators. Therefore, people should not watch dolphin shows and these halls must disappear gradually. In addition, we should change our perception about dolphin shows. We need to acknowledge these are not proper educationally or socially, and should not just be for our pleasure to watch them. Also, we must share the reality about poor surroundings of aquariums with people around us. It can also be a good way to share this article concerning this situation with other people. Lastly, you can support or cheer for Korean Society for Animal Freedom (KSAF). This organization is the place where activities are tried to discharge the other three dolphins including a “Jaedoli”. In a documentary The Cove: truth of a sad dolphin, a dolphin trainer sees his dolphin committing suicide. The dolphin comes up to the trainer and breathes out and then he sinks to the bottom of water without breathing again. Perhaps the reason why he chose to commit suicide might be due to his hard life in the aquarium. Actually, there are some statistics which show that average life expectancy of dolphins in aquarium is shorter than that of dolphin in other environments. Our friends, dolphins which had to make sacrifice themselves for human pleasure. Now we should get rid of our greed for their freedom and joy, and let’s do our best to prohibit poaching and captive breeding of dolphins globally.